For decades, it has been almost universally the case that to create a recognised, respected and successful supercar marque, a company was expected to have a heritage in motor racing. Not only the technical developments and expertise derived from track racing, but also the spirit, character and competitiveness of a racing marque have been regarded as essential contributing factors to the development of the perfect road-legal supercar. (The legendary exception of course was Lamborghini, who at the start of their career had no racing division at all but originated instead from direct competition with Ferrari’s road cars.) However, with the modern rise of “boutique” supercar manufacturers, many aspiring marque founders have bypassed this custom entirely and leapt straight into the luxury market. Not all of them, however. 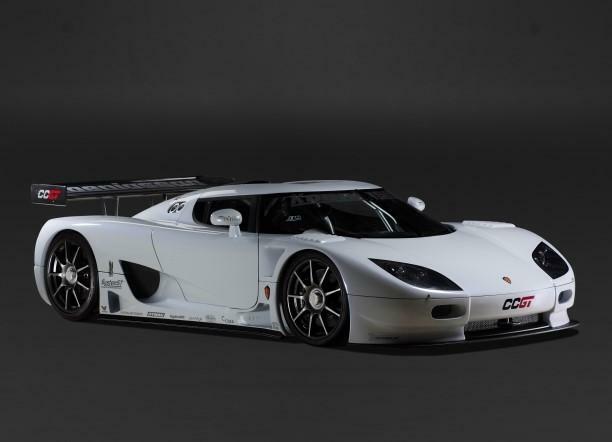 Those watching closely might have guessed from the start that Christian von Koenigsegg’s fledgling company had an interest in taking up the racing side of the supercar tradition. The initials “CC”, which formed part of the name of every Koenigsegg model prior to the Agera, stand for “Competition Coupe”. 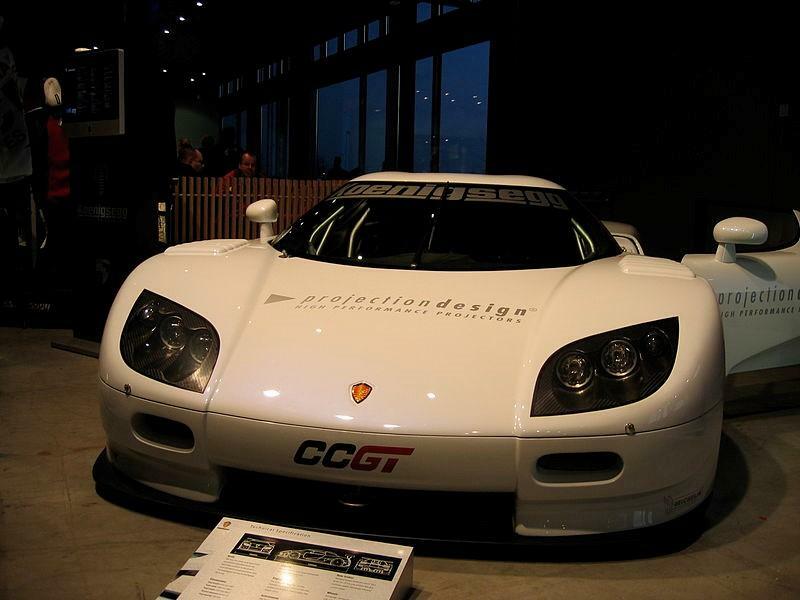 And at a very early stage of their career, with only a handful of completed production cars to their name, Koenigsegg attempted to make their racing dreams a reality by beginning the development of a car for the FIA GT1 racing series: the Koenigsegg CCGT. The development of the CCGT design, which originally evolved from the CCR, and the construction of the first – and in the event, only – car took place over several years. #012’s extremely low chassis number, compared to the date of its eventual debut, suggests that it was being worked on possibly as early as 2002, though Christian von Koenigsegg in the book “Koenigsegg CC – The Swedish Supercar” is quoted as saying that Koenigsegg’s racing project team had been up and running since 2005. However long the development process actually took, #012 eventually reached its finished form, underwent shakedown runs and testing at Ängelholm, and was finally exhibited to the public at the 2007 Geneva Motor Show alongside CCX #036 and CCXR #038. 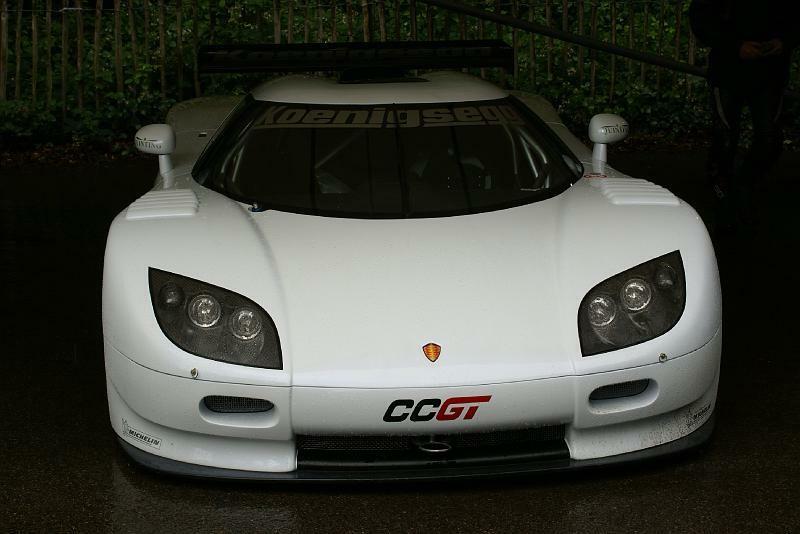 Unfortunately just before the CCGT could be cleared to compete in its intended role, the FIA rules for the GT1 series were changed – making it mandatory for at least 350 examples of a car to be built for public sale, before that model could take part in the racing series. For Koenigsegg, who had barely forty production cars to their name in total at that time, this requirement was both practically unrealistic and out of keeping with their brand’s ethos and exclusivity. #012, the one and only existing CCGT, was therefore not accepted for competition by the FIA and, sadly, has never to this day raced against its peers in a formal series. 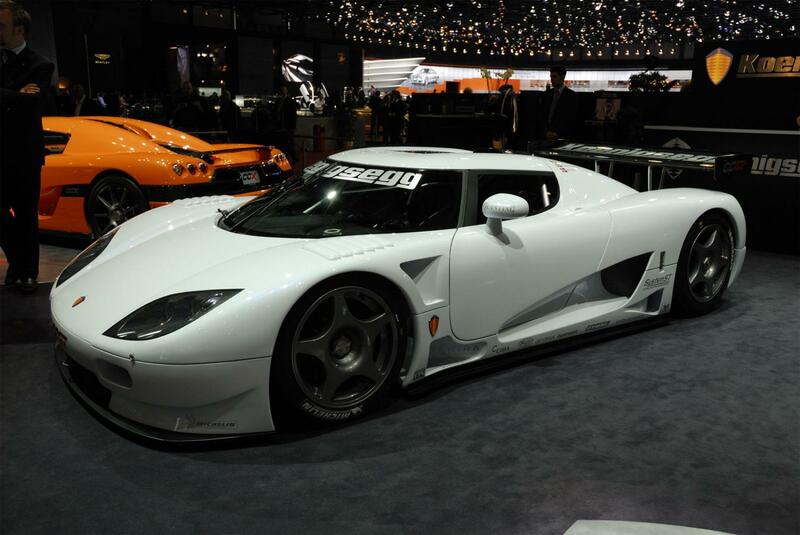 #012 is finished in white, with Koenigsegg banners across the top of the windscreen and along the rear spoiler. 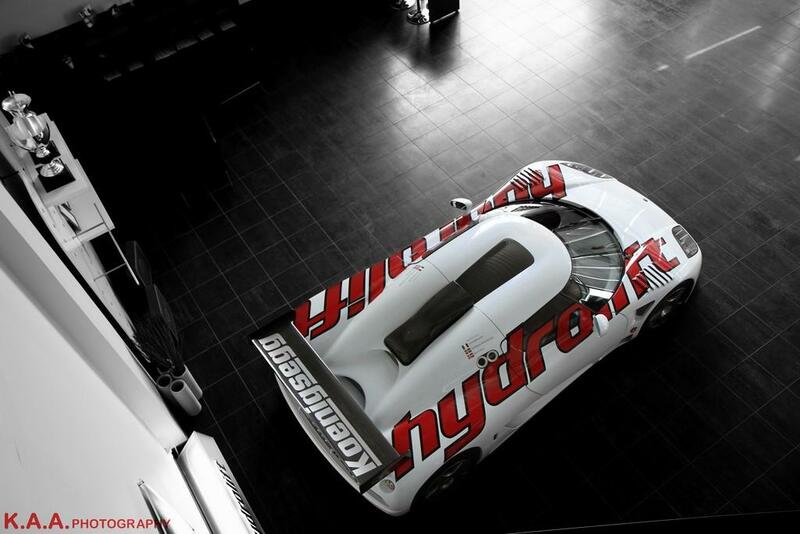 The CCGT’s body styling is distinctive due to the special demands of a racing design. Its doors, unlike those of any other Koenigsegg, lack the signature dihedral synchro-helix actuation system and instead open outward like a “normal” car’s – this provides easier escape for the driver in the event of a crash, leaves the front wheels accessible when the doors are open, and has the added advantage of reducing weight. The bodywork features a large number of ducts and vents: including NACA ducts, leading to the rear wheels, set below the standard Koenigsegg side intakes; wing-top vents, above the front wheels, which consist of a series of individually cowled slats; and two additional recessed vents on either side just behind the front wheels. Between the upper and lower of these side vents is a full-colour Koenigsegg crest emblem, with a matching badge appearing on the nose. A low-profile bare carbon air intake is mounted between the “shoulders” just behind the roof of the car, and a carbon fibre diffuser protrudes from the rear below the symmetrical exhausts. The CCGT also has distinctive twin fuel filler points mounted on the right shoulder behind the window, with spring-loaded flap covers in place of removable caps for quicker access when refuelling during a race. For most of its career #012 has been fitted with five-spoke Dymag hollow-spoke magnesium GT wheels, although it briefly wore the classic Koenigsegg “telephone dial” wheels during its Geneva debut and the company have also released renders showing it with CCX nine-spoke alloys. 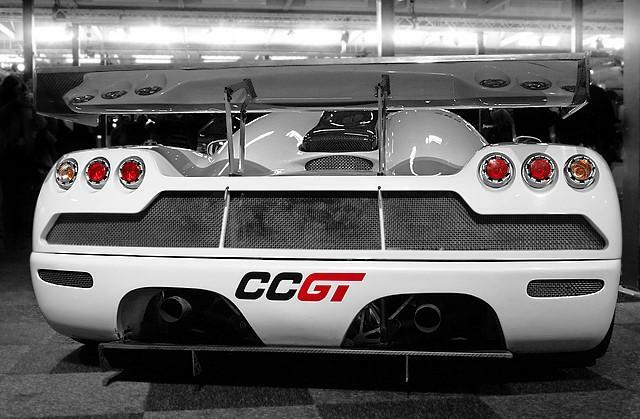 Since the CCGT lacks the call-out side panels standard on other Koenigseggs, #012’s identifier is instead painted on the front and rear bumpers and on the ends of its spoiler – the letters “CC” in black and “GT” in red. Koenigsegg’s design philosophy has always been consciously minimalist, but the CCGT as a racing vehicle takes this to the logical extreme. #012 has a plain black interior which is fitted with a single racing seat, a tubular-frame roll cage to protect the occupant, and very little else beyond the necessary controls for the driver and essential safety equipment such as the onboard fire extinguisher. 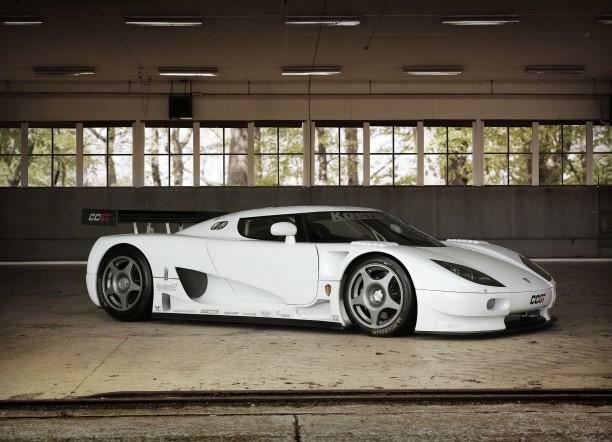 Normally aspirated version of the Koenigsegg CCX aluminium-block V8, with the standard twin superchargers removed but bored out to 5.0 litres from 4.7 and producing approximately 640 horsepower. This makes the CCGT significantly less powerful than a standard CCX at 806 horsepower, a downgrade which was required to bring it into line with FIA regulations for its intended class. #012 has a six-speed racing gearbox with paddle shift. 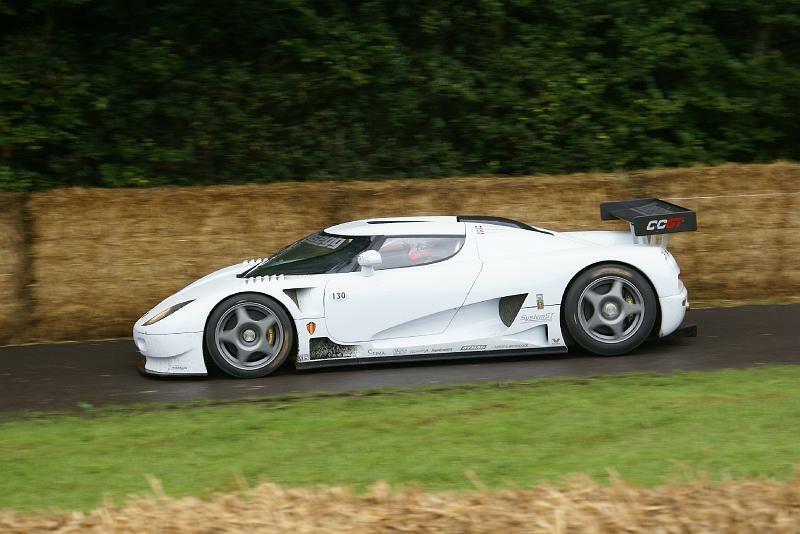 Koenigsegg succeeded in making the CCGT so light (under 1000kg) that under the FIA regulations it would have been required to carry ballast weight when racing to meet the required minimum of 1100kg. The ballast could have been placed within the car for optimum performance in any given conditions, providing a handling advantage over heavier vehicles that had no way to redistribute weight. http://www.autoblog.com/2007/03/02/koenigsegg-drops-a-duo-ccgt-and-1018-hp-biofuel-ccxr/ – CCGT announcement and Koenigsegg’s press release prior to Geneva 2007.
https://www.youtube.com/watch?v=zi1A38QVQyk – #012 walkround and startup at Koenigsegg HQ in 2007.
https://www.youtube.com/watch?v=4ky-NXorZ7c – #012 making its way (very carefully) indoors to be displayed at the MPH motor show in Sweden. https://www.flickr.com/photos/erikxedge/5926956135 – #012 at the 2011 Gatebil Festival at Rudskogen track, showing the conventional-style doors. https://www.youtube.com/watch?v=XbjSC-fDC-c – #012 on track at Rudskogen, running in company with a pair of Lamborghini Countaches and a Ferrari F40 among others. 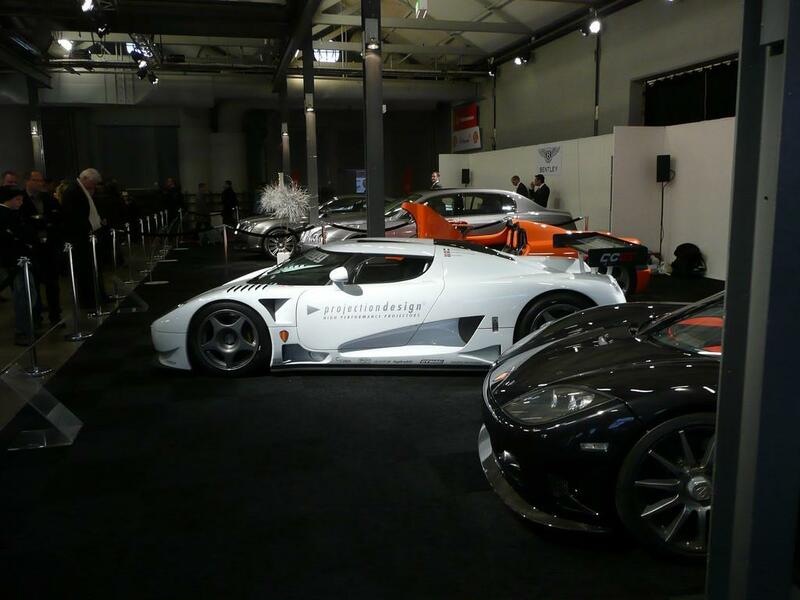 http://www.koenigsegg.com/models/ccgt/ – Koenigsegg official website CCGT page.